Dan Lewis Shihan began his training in Kyokushinkai Karate in the early 1980s. 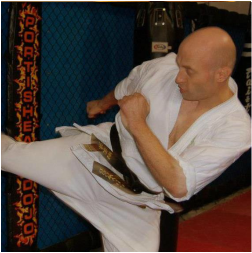 He switched to Goju Ryu karate after moving to Bristol and during this time he has also trained in Kyokushin Kai, Ju Jitsu, Escrima, White Crane Kung Fu and Muay Thai. Dan Shihan continues to explore Goju and other martial arts. He teaches a number of adult and children's clubs in Bristol. He has over the last number of years been traveling around the country running seminars and also exploring and writing a book on ‘Sanchin’. Caroline began training with DKK in 1996 whilst studying at the University of Bristol. Caroline is fully insured with first aid certification. Please ask if you would like to see copies of any certificates. 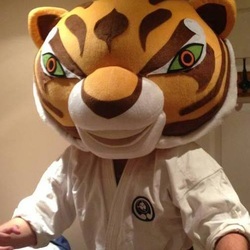 Simon currently holds the rank of Nidan. Gina currently holds the rank of Shodan. Gina runs the DKK juniors club at Gordano School in Portishead. Thea has 10 years experience training with DKK Juniors.